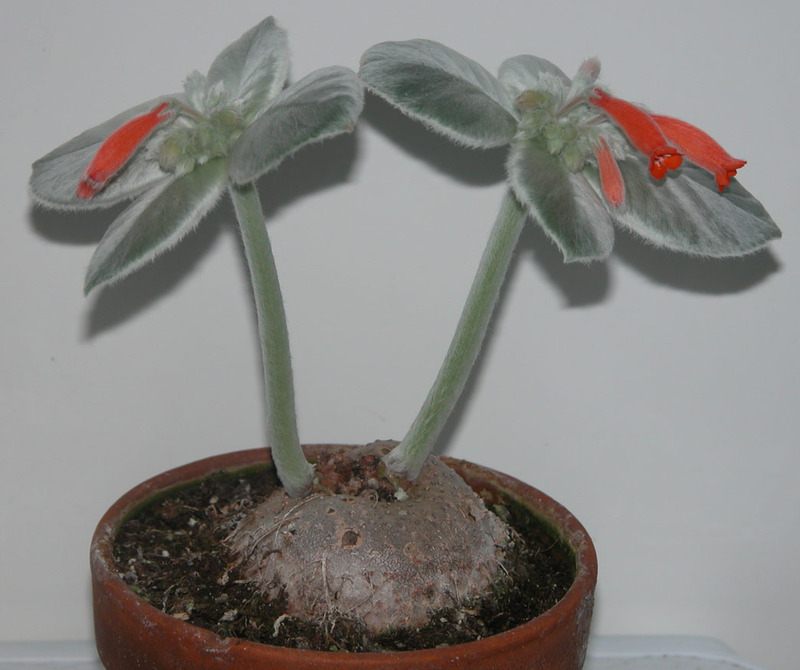 S. leucotricha can be grown along with other interesting caudiciforms. 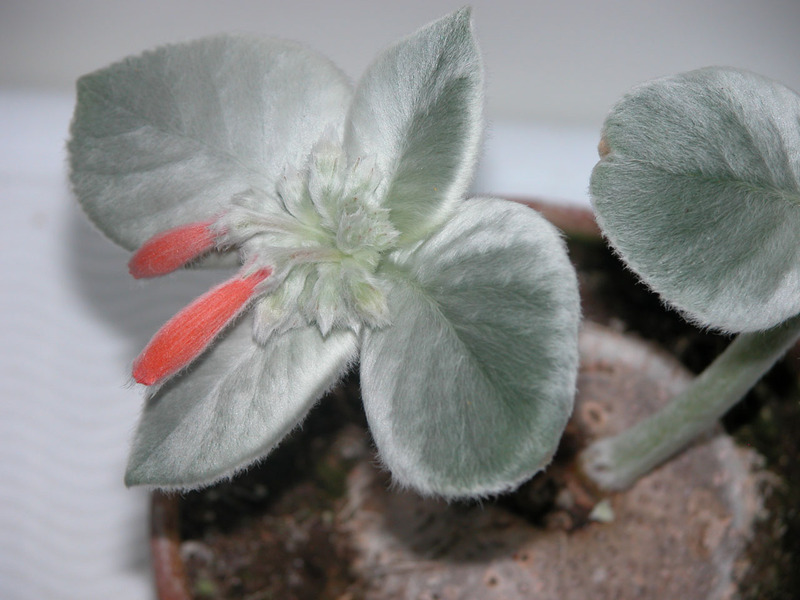 The flowers are a pretty red against the beautiful silvery fuzzy foliage. A small pot holding the leafless thickened foot sat for a couple of years amongst my "are you going to grow/ flower one of these days - plants?" This Spring it is earning its upkeep. These pictures were taken at the begin of the flowering cycle. Today (the 19.) the top of each plantlet had many flowers.